Chas Lowe & Sons has celebrated its first year anniversary after a turnaround in fortunes saw the business rescued from the threat of closure. Just over a year ago the merchant was facing an uncertain future following the decision by its owners to sell the site it operated from for redevelopment. However, things began to improve when builders merchant Gibbs & Dandy stepped in to save both the business and the employee’s jobs. The company agreed to take over the business assets of Chas Lowe & Sons and relocate it from Knebworth to a new site at Gunnels Wood Park in Stevenage. 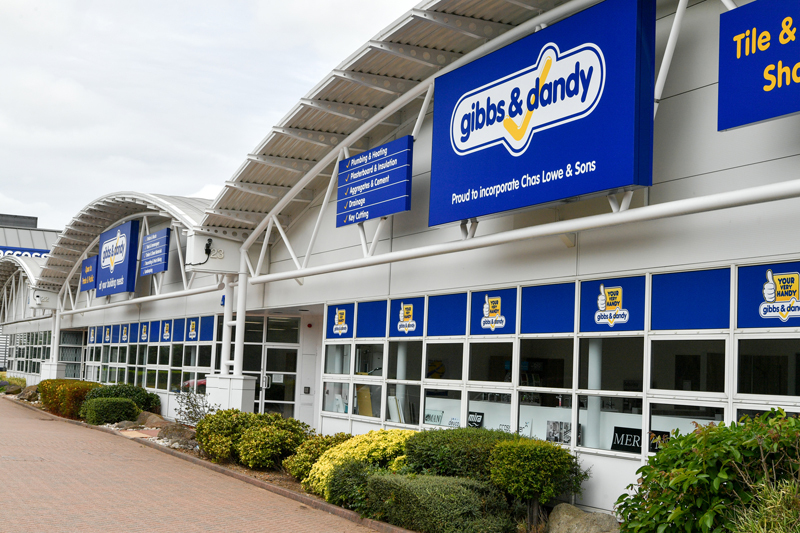 Since the acquisition, the branch is said to have gone from strength to strength, with a successful and profitable 12 months resulting in the branch now looking forward to a bright future. Stuart Wells, Stevenage Branch Manager, said: “It’s been a very successful first year. The staff have enjoyed working together as a team rather than as individual departments, and having clear procedures in place has helped everyone. “It’s been great to see how much the staff have taken pride in seeing the branch grow and grow during the past 12 months. To ensure the branch interacts with Chas Lowe customers, it has developed a new product range which is said to cover all bases for trade professionals and home DIYers. This includes everything from bricks, blocks and timber to paint and household tools and a new internal timber warehouse to meet the demand for such products. The opening of the new Stevenage branch last year was described as an ambitious project which was turned around in 30 days with all the staff team being involved. The challenges faced included transferring all stock to the new location, installing a new IT system, staff transferring to a new town and undergoing training and opening a new bathroom showroom, plus fitting and installing several displays. Stuart added: “It was a ridiculously ambitious timeline we had set ourselves – a four-week turnaround from the announcement to opening the new Stevenage branch, and in that time we had to move stock, train staff and set the new branch up. “The installation of the new IT system was particularly tough, especially for the first few weeks when there had only been limited training but everyone worked hard and pulled together.